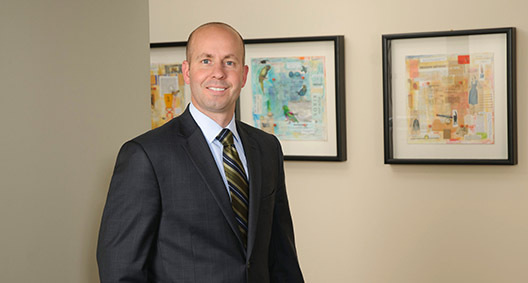 Clayton Coley focuses on representing public and privately held companies in regulated industries, including financial services, healthcare and technology. He has extensive experience in a variety of transactions, including representation of strategic and financial buyers in merger and acquisition and venture capital transactions, and related aspects of federal and state securities laws, including SEC filings, and he advises investors and early-stage companies seeking financing through private equity transactions. Clayton also advises companies in venture capital, general corporate and operational matters, and on premerger notification filings with the Federal Trade Commission and the Department of Justice. Represented the audit committee of the board of directors of a NYSE-listed multinational corporation in connection with an investigation requested by the external auditor in response to illegal acts in a foreign subsidiary. The investigation resulted in reforms to the company’s governance and compliance system and controls. Represented a biotech research company in numerous merger and acquisition transactions and collaboration arrangements, including the sale of a product division to a medical device company, an exclusive collaboration and license agreement with a biotechnology company, and the sale of a business unit to a foreign purchaser. Represented a Canadian software company in numerous merger and acquisition transactions regarding private and public targets, including acquisition of a fax software company and acquisition of a Texas-based software company. Represented a U.S.-based manufacturer in various matters, including international supply arrangements and an equity investment in a strategic business partner. Represented a top-5 U.S. merchant acquirer in multiple bank merchant portfolio acquisitions. Represented a Chicago-based private equity firm in portfolio company and follow-on acquisitions, joint venture transactions, and dispositions. Represented a venture capital firm in debt and equity investments and in secondary transactions. Represented a travel services company in various transactions, including its initial public offering, the subsequent SEC reporting and its sale to an American travel management company. Represented a private equity-backed consumer finance company in debt and equity investment transactions, state and federal compliance matters, and national expansion. Represented healthcare providers in various transactional and operational matters. Maintains relationship with Atlanta nonprofit Points of Light.